I have loved Mike He since seeing him in… was it Devil Beside You or was it the few episodes I actually managed to watch of Bull Fighting? I guess the only bad thing about him is that many of his roles are all similar—that of a devilish man. Arrogant, cold, but really a softy at heart. He plays it well. I guess it makes sense as Mike He’s breakout role was as the “devil” in Devil Beside You coupled with his role in Express Boy (I haven’t watched that, but it’s gotten good reviews). Thus, NeeNee is bringing her Mike He crush by recapping his latest drama Spring Love. Ah, the MV below is for Aaron Yan’s contribution to this drama’s OST. I don’t know if they still are, but I’m pretty sure Fahrenheit belongs to the same agency as Mike He. 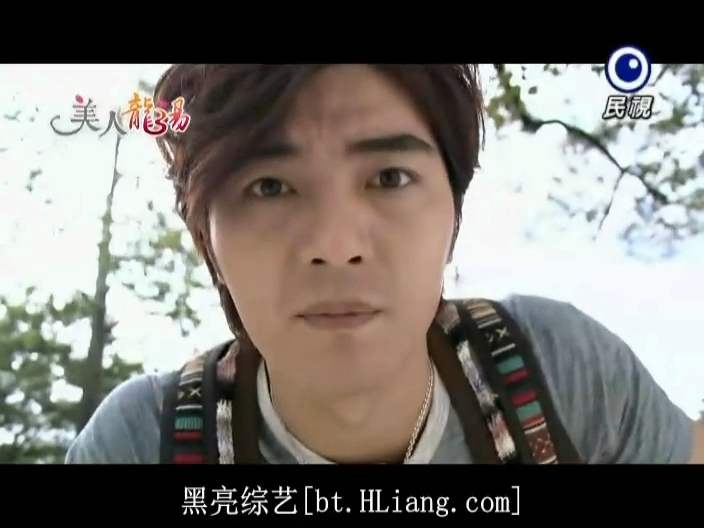 Jiro Wang loves to imitate Mike. We then cut to a bustling fish market in Japan. 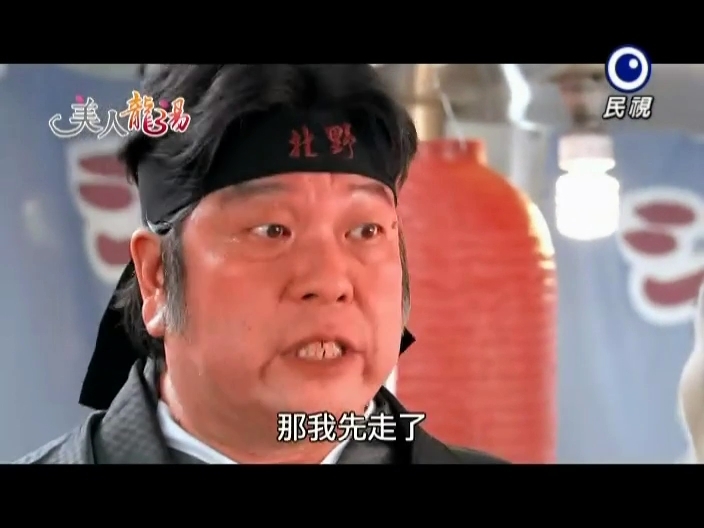 When an older woman gets bullied by two men, Ryuta (Long Tian Hao) immediately jumps to her defense. One of the guys pulls a knife and chases after Ryuta who pauses to save a kid from getting hit by a car. As he’s scolding the kid, the gangsters catch up to him. 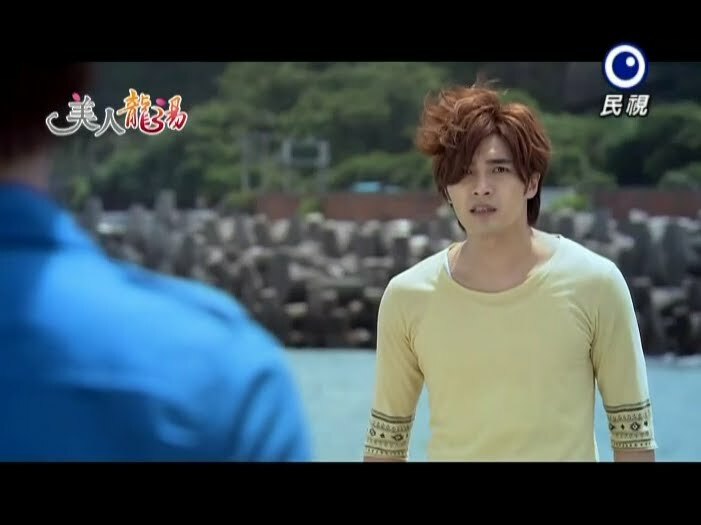 Luckily he is saved by fat uncle Kenji [Luo Bei An] who easily takes care of the men. Ryuta thanks Kenji for coming to his rescue and Kenji asks if Ryuta’s mom is at the market as well. Thus the two end up at Ryuta’s mother’s stall where she scolds Ryuta for being late. She then asks after Kenji’s health and promises to take care of him. Yep, Kenji has a huge crush on Ryuta’s mother. LOL. 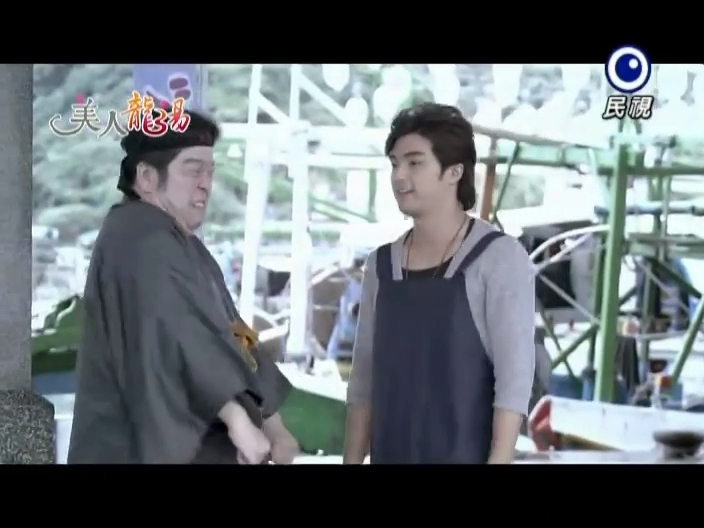 The sound effects and special effects when Ryuta’s mother touches Kenji is really funny. At home, Ryuta’s mother scolds him and tells him to only use Mandarin in the home or else he will forget. Ryuta promises he will and then asks why his mother always makes two portions for him. His mother gets quiet before saying that it’s because Ryuta does the work of two people. He promises to eat all of the food, and then asks why his mom looks so troubled. His mother quickly says it’s because of the bad weather and decreasing fish. Ryuta tells her to close up shop and he will take care of her. As she is about to snap back, she notices the cut in Ryuta’s shirt from earlier. Uh-oh. Ryuta’s mother demands to know why he got mixed up in a fight again. Ryuta quickly kneels and says that it wasn’t a fight, but two men bothering an old woman. His mother says violence isn’t an answer. When she turns her back on him, he grabs her hand and says he’s always obeying her. He helped out an older woman, respected his elders, and even carries around the Mandarin idiom book she gave him to study. He starts trying to say various idioms and the twins one makes his mom look uncomfortable again, but he soon has her laughing with his antics. Meanwhile, Tian He is refusing to take his medicine and getting scolded for this by A Pan. Enter Mr. Long and another servant. Long is not happy with his son’s attitude. The servants try to cover for him, but Mr. Long is having none of it. He scolds Tian He for acting like a child and throwing a tantrum when it comes time to take his medicine. Tian He says that after taking medicine for so many years, what does it matter? Long says that it’s new medicine and then Tian He starts having chest pains and everyone starts panicking. Dr. Jin comes and examines Tian He and says his heart disease is getting severer and they should prepare themselves for the worst. 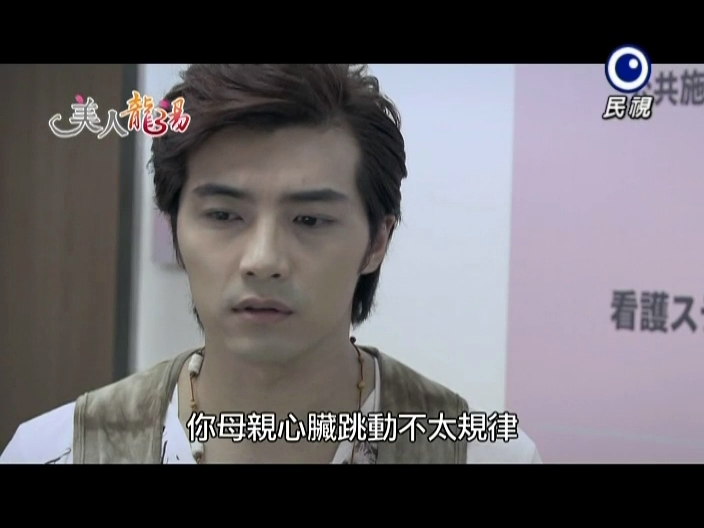 Long is outside apologizing to Tian He’s mother for not taking care of Tian He properly. He then asks where she is when a servant brings a letter from abroad. The letter is from Zheng Xin She who apologizes for not living up to his duties until now. Inside the envelope is also pictures of Tai’s mother. Long’s hand shakes as he looks at them. Long goes back to the letter and Zheng says he has enclosed Mei Zhi Zi’s contact information. The case, after all these years, is now closed. In Japan, Mei Zhi Zi is staring up at the sky recalling a promise to leave Taiwan and never go back after giving birth. Even though she promised to never go back, she has been feeling uneasy of late—is something wrong with Tian He? She hangs up a prayer tablet and heads home where Long is desperately phoning her house. No one answers and he hangs up and sits down picking up a paper and brush. He’s been looking for her for 26 years now. He has never had a day without regret or pain or thinking of her. Every time he thinks of Tian He he ends up thinking of Tian Hao. 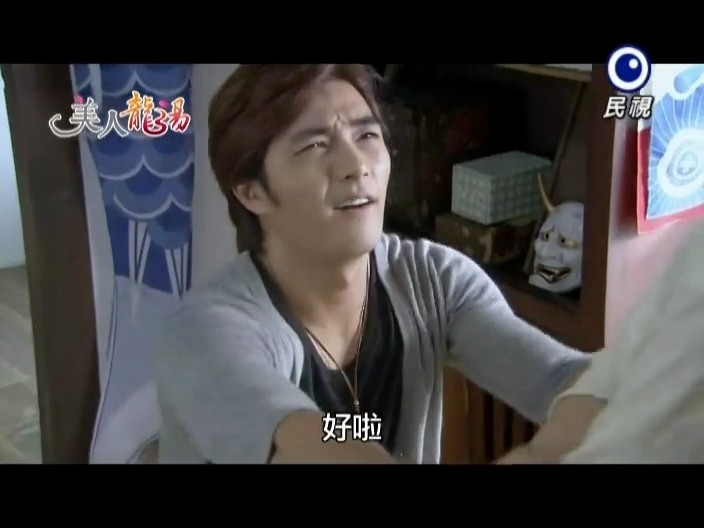 Long Shou Cheng then begs her to come back since Tian He’s condition is worsening. At this time, Tian He has another attack. 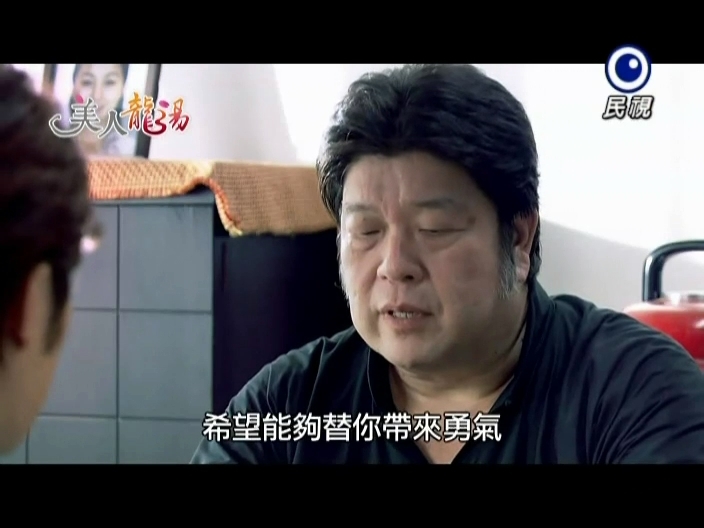 Shou Cheng rushes in and asks if his son is okay. Tian He wonders if his father really has genuine concern. 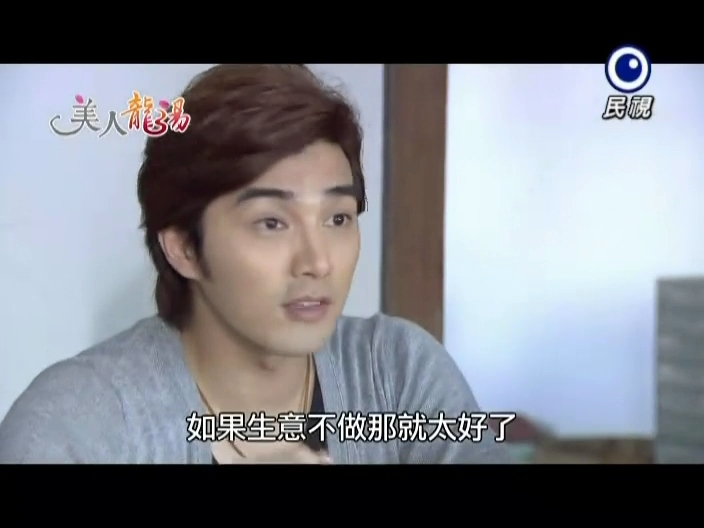 Tian He then says that his father will be better off with Tian He and his lingering illness. Poor Shou Cheng is hurt by these words and leaves. Ah Pan scolds Tian He for his cruel words and goes off leaving the ill man alone. Does he really think his father is his enemy? Meanwhile, at the Zhao home in Taiwan the chubby (such a horribly done fat suit) Ren Mei [Lin Ying Zhen] is happily cleaning when she gets called by her grandmother. Ren Mei stands up quickly looking abashed as she gets scolded by her grandmother for being reckless and unfeminine. Ren Mei pulls out her ear buds and apologizes. Grandma Zhao doesn’t want apologies, but Ren Mei to do her job well. Ren Mei looks downcast and gets scolded for being so reticent. Grandma Zhao says that Ren Mei should be more like her older brother. Grandma Zhao asks if Ren Mei wiped the windows a hundred times. Ren Mei says she didn’t count, but she wiped them until they were clean. Since she didn’t do as she was told, Ren Mei is told to wipe each window two hundred times now. What an old witch. She leaves and the disheartened Ren Mei switches around her name to Mei Ren Zhao which translates into “no one takes care.” She then tries to shake off her funk and encourage herself to work hard. Granny Zhao is then told that the village head is there looking for her. She seems very displeased by this. She goes to meet him and he asks if any one in the Zhao family is willing to participate in a dragon dance. Granny Zhao promises to send Ren Hu [Nylon Chen] as he’s coming home from studying abroad at long last. She then asks after the other family and is displeased to hear the Longs were chosen as they are all old and weak save for Tian He (and we all know he’s gravely ill right now). At the Long house, Lao Tu says that of course their family will participate. Long asks if they must sent two people. Yes—they will send Tian He, right? The village elder says that no one has seen Tian He for a long time and they all know that he has had bad health since he was young—is he really okay? Long assures the village head that his son is fine and will participate. The head leaves and Ah Pan runs screaming into the room saying that Tian He’s face turned pale. Long yells at her to hurry and call the hospital. Back in Japan, Mei Zhi Zi is in the hospital and Ryuta is being scolded for not being there when his mom collapsed. Zhi Zi wakes up and says she dreamt she was waking near a cherry tree and heard her son yelling. Kenji and Atsuko [Sato Mai] stop by the Long home with a cake. 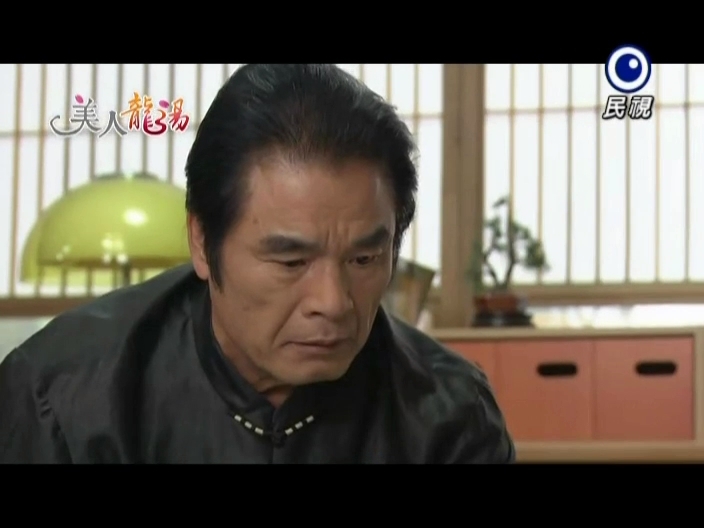 Zhi Zi scolds him for the expense and Atsuko talks about how well Kenji takes care of Zhi Zi. This embarrasses him and Kenji leaves. Ryuta comes in and asks why everyone is there. They are there to make Zhi Zi a nourishing meal and celebrate her birthday. Zhi Zi asks her son why he’s so late and we flashback to Ryuta learning from the doctor that his mother is suffering from fatigue. Does she regularly eat medicine? Yes, because a doctor is too expensive. Thanks to her wrongly medicating herself, her heartbeat has become irregular and if the overwork continues, her heart is in danger of stopping suddenly without warning. The flashback ends and Ryuta lies and says he met a friend along the way. The party starts with everyone singing the birthday song. They then tell her to make a wish. Zhi Zi says she has no particular wish beyond her son finding a good woman who loves him. I’m sure that’s not her only wish. Later Ryuta steps out of the house and his smile quickly fades. He pleads to God to not take her away from him as he wishes to let her live in comfort. 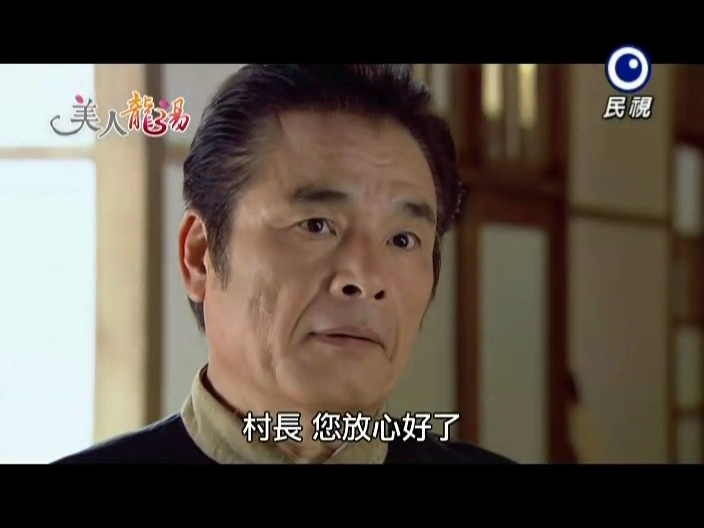 Back in Taiwan, Dr. Jin says that Tian He’s heart disease is partially caused by the problems between father and son. Dr. Jin asks Shao Cheng to clear matters up with Tian He, but Shao Cheng can’t bring himself to talk about what happened. If he doesn’t do it soon, it could be too late. In Japan, Zhi Zi tells Ryuta that she is blessed to have had such a son as him. He then says an idiom wrong and his mom quickly corrects him. Why does he always do that? Because he likes to have her correct him. She calls him a silly child and he says he wishes to be her silly child forever. Zhi Zi then brings up the fact he didn’t eat anything and dinner and only stared at her—is he hungry now? Ryuta turns down food, but his mom promises to teach him to make a certain dish saying she will only teach him once. She then goes to the kitchen and starts working while Ryuta happily watches her instead of what she is doing. This dish is what her savior in Taiwan always used to make her to life her spirits. Ryuta asks why she never talks about Taiwan and she explains a bit of her life there and then begs Ryuta to learn to make the dish before she’s gone. Ryuta scolds her for saying such an inauspicious thing and Zhi Zi asks why he never asked after his father. Because his mother said he died. Ryuta knew that was a lie, but he didn’t pursue it because he was afraid to make her sad right? Zhi Zi then tells the story of meeting a kind 24-year-old man in Taiwan. They fell in love, but their love was not blessed. After the woman gave birth to twins, she knew there was no place for her and her son, so when no one was looking she took the weakest baby with her and left. She took the baby to Japan and named him Ryuta. All these years she has wanted to tell her son about his older brother and father in Taiwan, but couldn’t figure out how to tell him. She was afraid Ryuta wouldn’t understand why or accept it. Ryuta asks why she’s telling him now and Mei Zhi Zi says its basically because she doesn’t want to lose the opportunity. She has a spell and Ryuta tells her to calm down and puts her to bed. I have a feeling mommy isn’t going to make it. Once in bed, Zhi Zi touches her son’s cheek and tells him that she’s grateful that he is her son. He takes her hand in his and tells her that it should be him saying that. Zhi Zi then says she should be accountable to the Long family. Ryuta tells her to stop talking for now and go to sleep—he’ll be there with her. 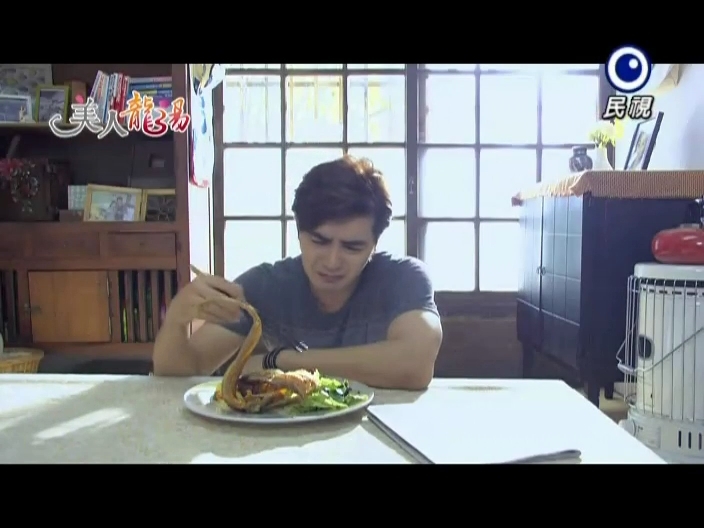 Zhi Zi obeys and once she’s asleep Ryuta goes out of the room and sees the special dish his mother made. He then recalls his mother’s words and her urgency and becomes worried. He turns back to her and tells her goodnight. No reply. He comes into the room and crouches down beside her, calling her and shaking her, but no response. That was faster than thought. Ryuta cries and takes his mother in his arms and says she can’t leave him. How sad. Ryuta looks a a picture of his mother before getting out the special dish she made him. He’s afraid it will go bad and cries as he tells his mom they should eat it together. He then takes a bite as he cries his heart out. Makes me want to cry as well. It’s always a difficult thing for an actor to do to cry and eat at the same time. Back in Taiwan, Tian He wakes up and sees Dr. Jin’s back. How much longer does he have? Dr. Jin says he found hope in a Japanese heart surgeon. 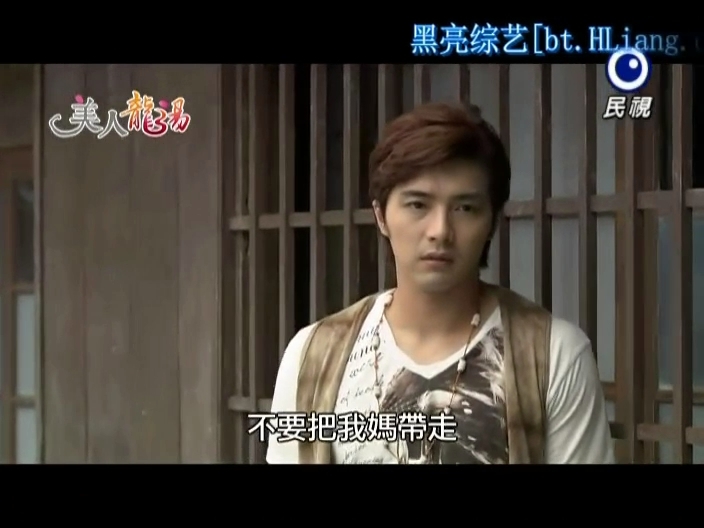 Tian He wonders what reason he would have to live for and Dr. Jin calls him a coward. This, of course, angers Tian He. Dr. Jin comes over and says if Tian He really wants to be free once and for all, then he should take that poison. This confuses Tian He. Dr. Jin tells him to cure his illness in one moment and kill himself in the next. Dr. Jin then tells him that dying is easy, living is hard. Dr. Jin also tells Tian He that in order to take his revenge on his parents, it’s best if Tian He lives. Dr. Jin leaves the hospital room where an anxious Shuo Cheng awat.s Well, how did it go? Dr. Jin smiles and Shuo Cheng is relieved. Kenji comes over to pay his respects to Zhi ZAi and Ryuta thanks him for looking after his mother for all of these years. Kenji says that he really did nothing. He then sits Ryuta down and asks if his mother said anything before she died. Ryuta asks if Kenji means his brother and father. Kenji is relieve d that Zhi Zi did finally tell Ryuta. He then apologizes to the young man for keeping the secret all of these years, but he had promised Zhi Zi not to tell him. Kenji then gives Ryuta a gift of in hopes of it bringing luck. He then hands over a key that Zhi Zi had entrusted to him. Ryuta takes the key and opens the locked drawer in his mother’s room. In it is a picture of her and the twins’ father along with a ring. Ryuta promises to take his mother back to see the oriental cherry tree. In Taiwan, Tian He is heading to the airport to go to Japan. At the airport, Mei Ren and Zhang are waiting for Ren Ho to return. Zhang has to rush off to the bathroom. The hapless girl then spots Ryuta, but before she can go see him, she gets blocked by people, missing her opportunity. She wonders why Tian He would be there and dressed like that when she bumps into the real Tian He. She wonders how he’s in a wheelchair when she saw him walking fine just a little bit ago. Tian He demands to know if he knows Mei Ren. She apologizes and says they haven’t seen each other in years, so he probably doesn’t remember her. 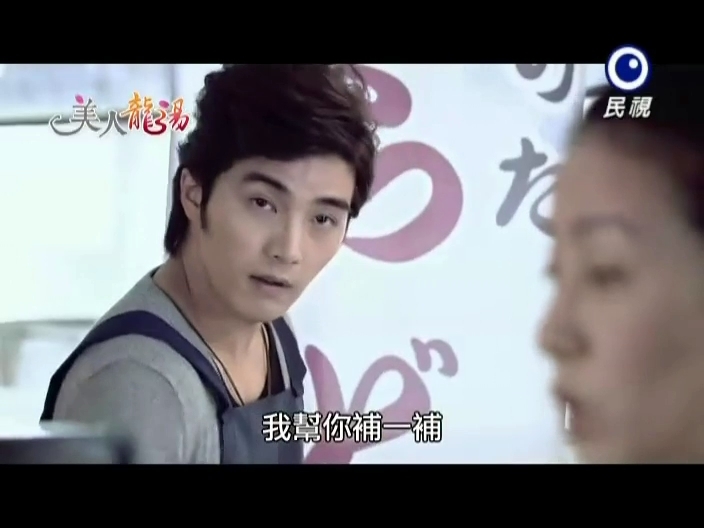 Tian He thinks back and recalls running into Mei Ren stealing food at the hospital and scolding her for it. Tian He says that she’s gotten even fatter and wonders if she ate away her sense of shame. Poor Mei Ren. Tian He wheels off and Mei Ren complains about him not changing at all. At this time, Ren Hu’s flight has arrived. 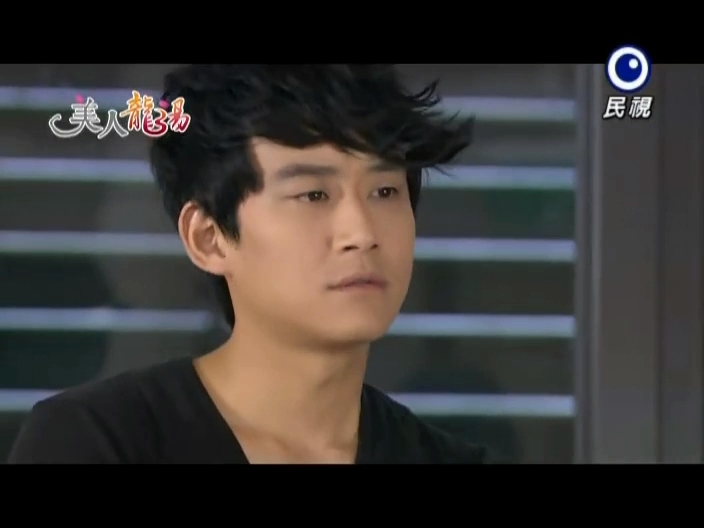 He looks around for Lao Zhang and his sister and is unhappy when he doesn’t see them. He gets in a cab and leaves while Mei Ren is trying to figure out what is going on. So the Tian He she saw earlier really wasn’t Tian He? The one who spoke to her was really Tian He. Why was he in a wheelchair? Lao Zhang finally comes out of the bathroom and asks where Ren Hu is. Ren Mei shouts that she is done for. At dinner, Granny Zhao is complaining about how different the Zhao siblings are. Ren Mei ignores her grandmother’s words and looks at the food instead. Granny Zhao then hands him a present before giving him a chicken leg. Granny Zhao scolds Ren Mei for staring at the chicken and tells her granddaughter to obediently eat her vegetables. Ren Mei angrily picks up broccoli and begins eating it fiercely. At the Zhao house, Ren Hu is unpacking when Ren Mei comes in bearing a tray of fruit. She apologizes for the airport and Ren Hu angrily kicks her out of his room. How annoying. Looks like he’s not a very nice brother. Granny Zhao then comes to pay him a visit. The two sit and Ren Hu asks why she is looking for him. Zhao explains that she wants Ren Hu to represent the Zhao hot springs at the celebration. Ren Hu quickly agrees to represent the Zhaos. 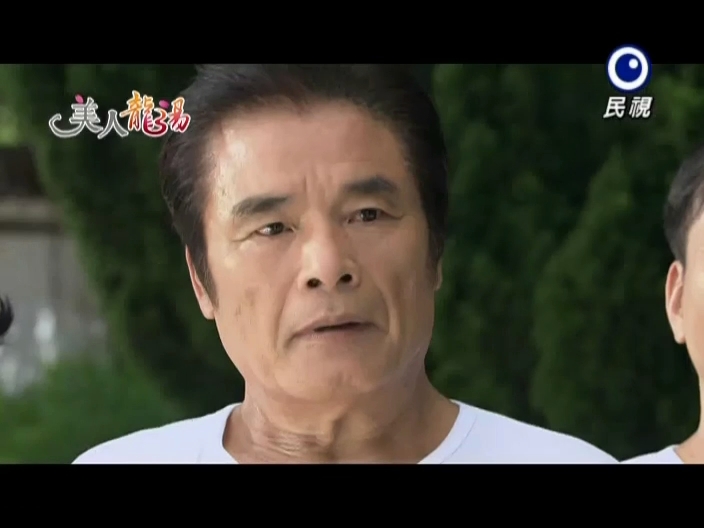 His grandmother then tells him that Shuo Cheng is participating in the ceremony as well and now people are wondering if Tian He will make an appearance or not. Ren Hu seems very unhappy to hear this name. He then says he hasn’t heard it in so long that he thought the sickly Tian He had died already. Long is busy trying to get in shape while Ren Mei is being ordered to clean the Zhao’s business. Ren Mei goes to ask her grandmother about attending the celebration earning her a glare from her brother. Ren Mei imagines fiercely throwing down the mop and demanding to be able to go, but can’t work up the courage to do it. She can only meekly say she will stay and clean. Long is still trying to call the number in Japan, but can’t get through. He wonders if the letter he got was really true or not. Lao Tu calls him and says it’s time to go. The Long hot springs team gathers and runs into the Zhao family. Granny Zhao asks after Tian He and the Longs keep mum about Tian He being in Japan for treatment. Ren Hu asks Long to withdraw, but Long won’t. Ren Tu then asks Long to make a bet with him. Whoever loses must submit to the winner. Thus if the Long family loses, they will have to hand over their Dragon Soup and leave the hot springs village. Yep. I’m not liking Ren Hu. At this time, Ryuta finally arrives at the village after having search for several days. He wonders why the Long house is deserted and looks around. 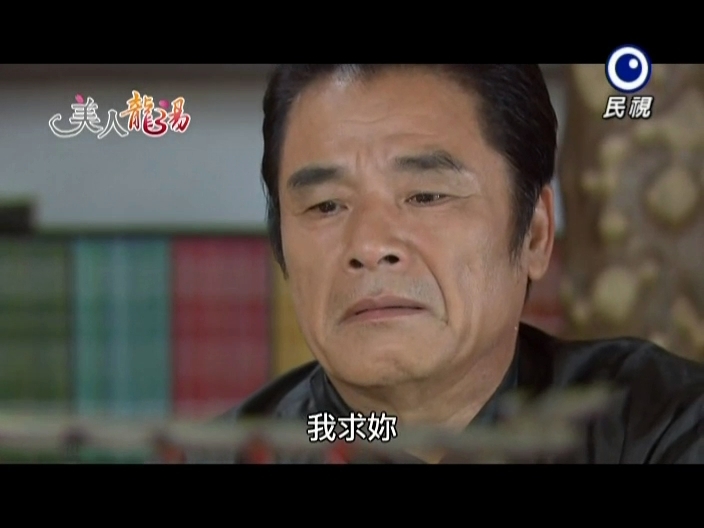 Meanwhile, Zhao scolds her grandson for taking things too far. The Long servants then says they aren’t afraid and are snapping back at Ren Hu. Enter the village head who scolds both families for ruining the festivities. Zhao says they are taking the celebration seriously, but the Longs are not. Ah Pan then says if the Longs win, the Zhaos must serve them for a year. Shou Cheng is NOT happy with his servants making the bet in his place, putting the tradition of his hot springs in jeopardy. Ah Pan says she knows Long has been training for awhile and Long recalls trying to do pushups, but giving up quickly after he threw out his back. Ah Pan then slaps him hard on the back and he says “hurts” which gets interpreted as “okay” (the mandarin sounds similar). 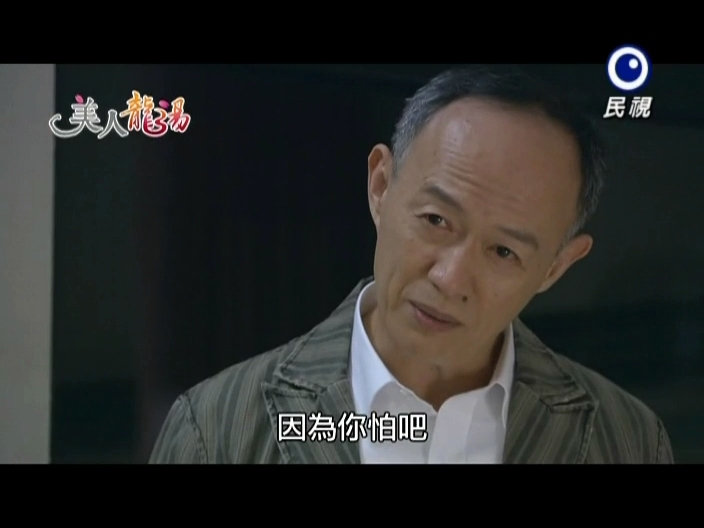 Ren Hu then asks the village head to act as witness so the losers can’t back out. It’s time for the festivities to begin. Ren Hu seems very unhappy that there are firecrackers present. Nonetheless, both dragon teams assemble. The Zhao family is the black dragon and the Long family is the yellow dragon. The ceremony begins and the yellow Long dragon holds its own over the black Zhao dragon until Ren Hu lands a kick straining Long’s back once more. The yellow dragon recovers and continues performing. While the festivities are going on a young man goes into the Long house and takes a golden dragon statue. Ryuta sees this and immediately chases after the thief. Ren Mei is sneakily cooking ramen and making plans to secretly sneak off to the festival when she sees Ryuta chasing the thief. Ryuta tells her to move, but collides with her. He apologizes for running into her an says he was chasing a thief. When he catches sight of the young thief again, he runs off leaving Ren Mei giddy over seeing him. We end this episode with Ryuta chasing the thief only to lose him in the festival crowd that’s watching the dragon dance. I’m liking it so far, even if I don’t like Ren Hu. Ren Mei is adorable and I feel bad that Granny Zhao bullies her while treating Ren Hu as a precious child. I hate that kind of parental discrimination. I plan to get the other episodes up tomorrow and keep up on a regular schedule with this show now. Right now I can say I recommend it since its just starting & hasn’t annoyed me yet. The acting is okay & the cheesy silly parts amuse me. 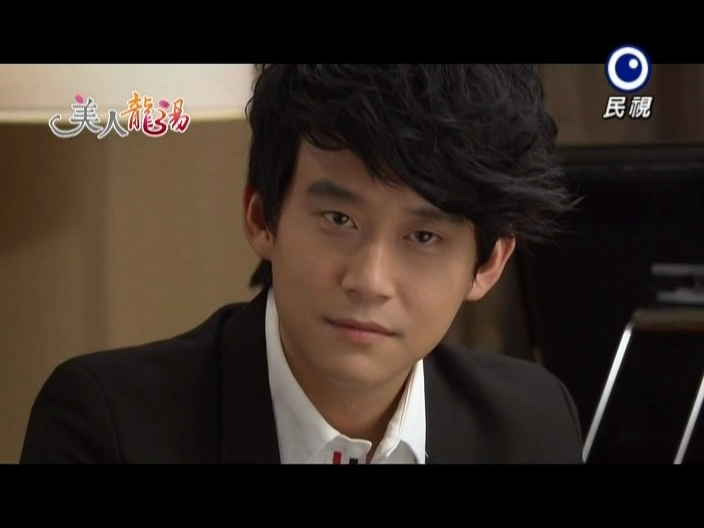 I only knew Nylon Chen as a singer, but he acts well since I hate his character already.